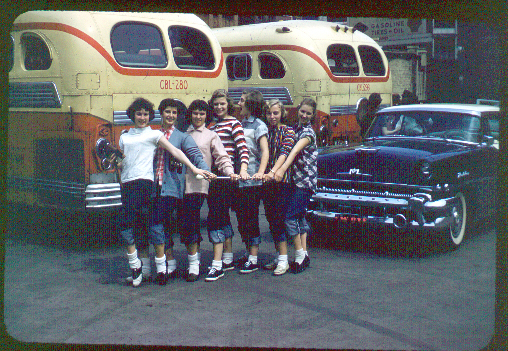 Thanks to Greg Ruff (WHS '60) who converted slides his father had saved into these photos. 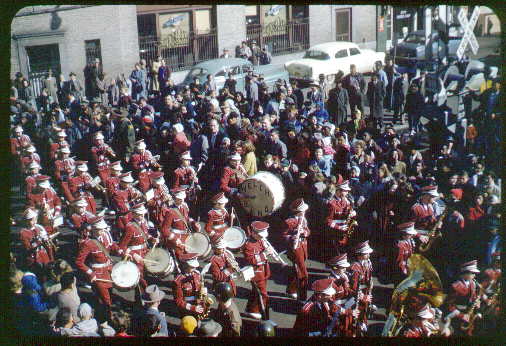 We think the shot of the band is from a Veteran's Day parade in 1956. The picture of the majorettes was probably taken around the same time. Please click here to contact us if you can provide more background information on these pictures.